Wildflower inspires you to be bold and brave and unapologetic in yourself. When you connect deeply and show up fully you change the world you live in. It starts now, with you and your daughter. 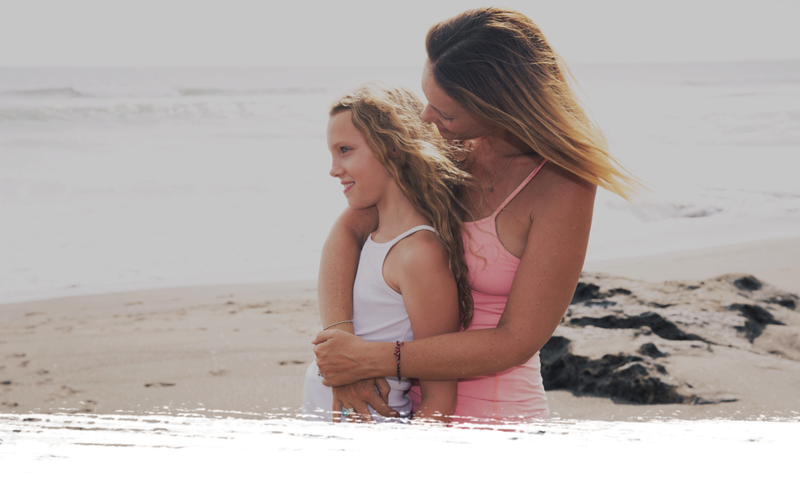 Here at Wildflower, you'll find Mother & Daughter Retreats, Bonding Experiences and Private Sessions designed and created as a delicious mix of everything that you wish you would have known or been told coming up into this world. In a culture that fires information and expectation at you faster than you can take it in, Wildflower delivers the most essential message you need to hear- you are enough. I understand the power of connection, importance of trust and magic of love. I maximize positive impact and minimize risk for you and your daughter by using the most complicated and intriguing dynamic between women to set the foundation for everything you need to fly. Join me as we dive into the beauty of the bond between you. I'm a natural born explorer with insatiable curiosity. I'm constantly blown away by the magic and beauty of the world and am wildly passionate about things that spark joy, wonder and connection. I've defined my own concept of beauty from the fierceness and freedom with which I live my own life. We all come with a story, yet my favourite part is that everyday we get to decide what is written on our next page. I know that the people and situations that challenge us the most are our greatest teachers. My pleasure comes from knowing that the good, the bad and the ugly lead us on an adventure in which we get to discover exactly what we are capable of. A little hint: it's more than you can imagine. I have seen a lot, and lived through it all, so the root of my passion, commitment and hunger for bold and brave women in our world comes from my own vulnerability which can make me feel remarkably scared at times. I have put my heart and soul into this project and with it, you get it all. Think taboo topics, unearthing stereotypes and smashing through expectations. You will emerge connected and confident. As a lifetime lover of movement and with an understanding of the value of experiential methods, I have created experiences in which the activities teach the material and you guide the depth of your experience. In addition to the signature Wildflower Mother & Daughter Retreats, I have designed and developed mini retreats, workshops and classes that spark a fire in girls, women and mothers alike. Giving each of you an opportunity to explore select aspects from the full retreat experience. Check Out Wildflower's Range of Experiences Here! Connecting deeper to give both of you all you need. Redefining time spent together while enjoying a remarkable experience of strengthening and celebrating your relationship. Building boldness and confidence in girls to navigate the overwhelming pressures and expectations that exist. Deconstructing topics that can be difficult to address yet essential to discuss. Peeling back the layers of everything you aren't to reveal everything you are. Easing guilt, alleviating pressure and building confidence for connecting deeper and communicating easier.